WOW!! It is the last day of September!! How did that happen?!?! I thought that instead of featuring just one book for "Book Talk Tuesday," I would post some of my favorite pumpkin books to use in my classroom! 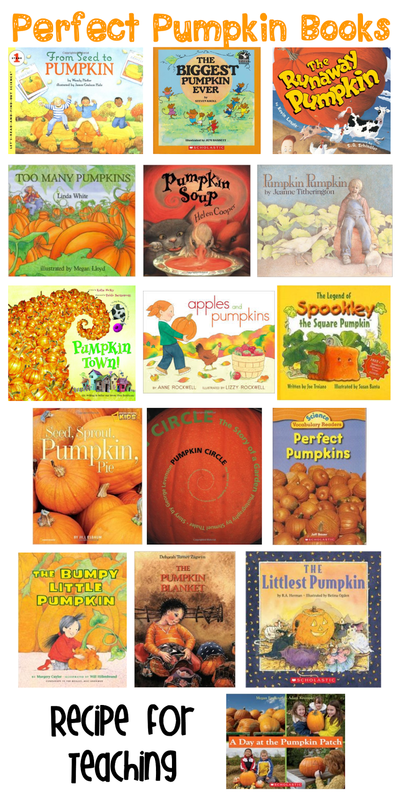 Do you use any of these books OR do you have any other favorite pumpkin books?? Don't forget to check out my Markdown Monday post for how you can get a FREE copy of my Pumpkin Activities Pack!! Be sure to link-up and share!